Move over Nutella, there's a new treat in town! Creamy hazelnut goodness coated in "milk" chocolate makes the perfect portable bite. Ingredients: Vegan "milk" chocolate (organic rice milk, organic evaporated cane juice, organic cocoa butter, organic cocoa paste, organic almonds, organic vanilla), organic hazelnuts, organic coconut oil. From the package: Shares equipment with peanut/nut and dairy products. Approximately 18 bites in 1/2 lb. These are so good! 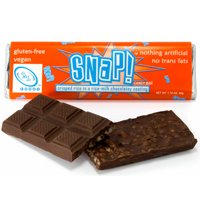 Like a peanut butter cup but with a clean & healthy taste! 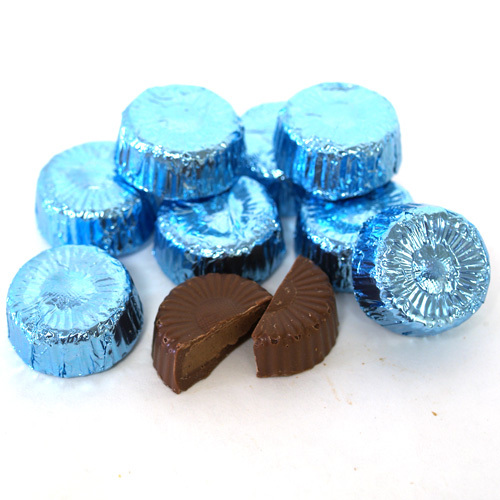 These are SO delicious - it's like eating a healthy peanut butter cup. I couldn't believe these were vegan either. Wow! Can't wait till they are back in stock! These are surprisingly good. At first, I wasn't sold on them. I expected it to taste more like a peanut butter cup (I don't know why). I slowly finished the bag, and by the end I was hooked. Now I can't get enough of these!